It has been busy times… So busy that I had hardly time to take pictures for myself let alone post here on my blog. A trip to Russia with school (more pictures wil follow), working on old projects, being the photographer on a wedding and now I’m almost off on a school camp to the southern parts of the country. Yesterday I took a bit of time to kick off the dragonfly season. For quite a cold day I found lots of dragonflies. 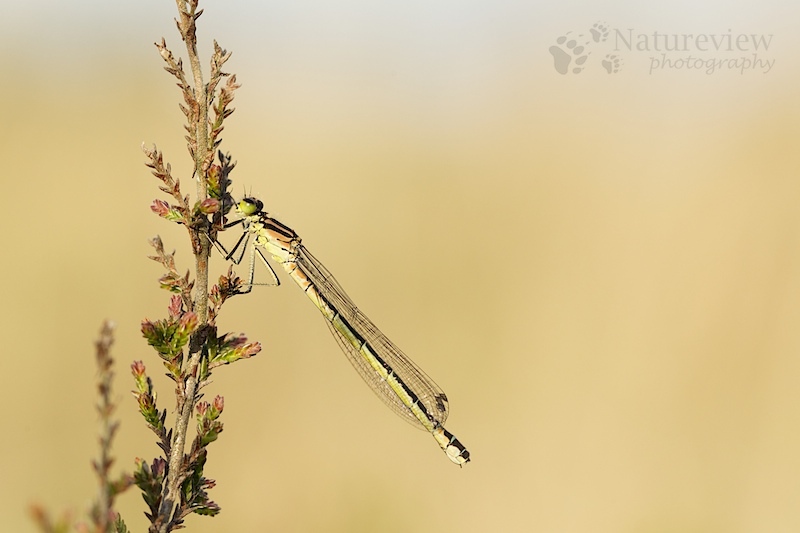 Because of the high temperatures we had earlier, lots of dragonflies had emerged. With the lower temperatures all they could do was just sit in the sun and wait for their body temperatures to rise a bit more. This gave me the opportunity to approach them without them flying away. I’m particularly happy with this Crescent Bluet, as I missed this species last year, despite several trips to find them. One of the things I did in the past months was work on a chapter in a Dutch book on Macro photography. It was published in the same series as the landscape photography book I worked on last year. We wanted it to be a very practical, hands on book, with nice pictures and good information about how to make good macro pictures. First there are chapters on the technical aspects like composition and equipment and then a part on the different kinds of macro photography (e.g. butterflies, mushrooms, dragonflies -the chapter I did-). The final part of the book is a photographic calendar with suggestions of what can be photographed each month. All in all one of the best Dutch books on macro photography around, one I’m really proud on! Beautiful color in this photo.